Editor’s Note (20 February 2017) : Added in the first unique vending machine of 2017 for our boys in green. The humble vending machine has always been there during our times of need. At every step of growing up in Singapore, there is always one nearby, most of the time to provide us with ice cold canned drinks to quench our thirst, or tidbits to satiate our hunger. 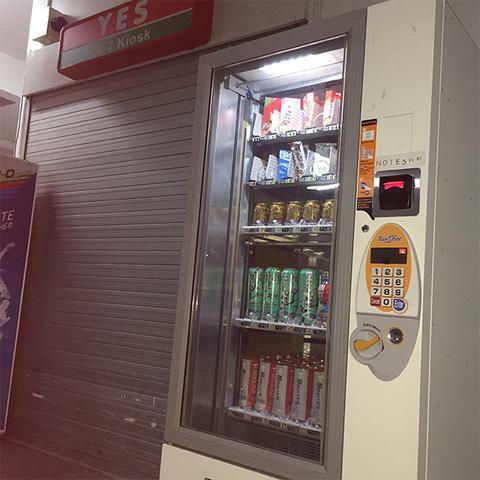 Vending machines in Singapore have since evolved, and now, they don’t just dispense food and drinks, because companies are now shoving in all kinds of products to sell using them. To be fair, getting more than just junk food and soft drinks from a vending machine isn’t something completely foreign to Singaporeans. As seen in local vending machine enthusiast blog Singapore Vending Empire, we have in fact seen a wide variety of products and brands making use of this sales technique. Though the site hasn’t been updated in over a year, we could at least see what the vending machine trends have been like up until the end of 2015. 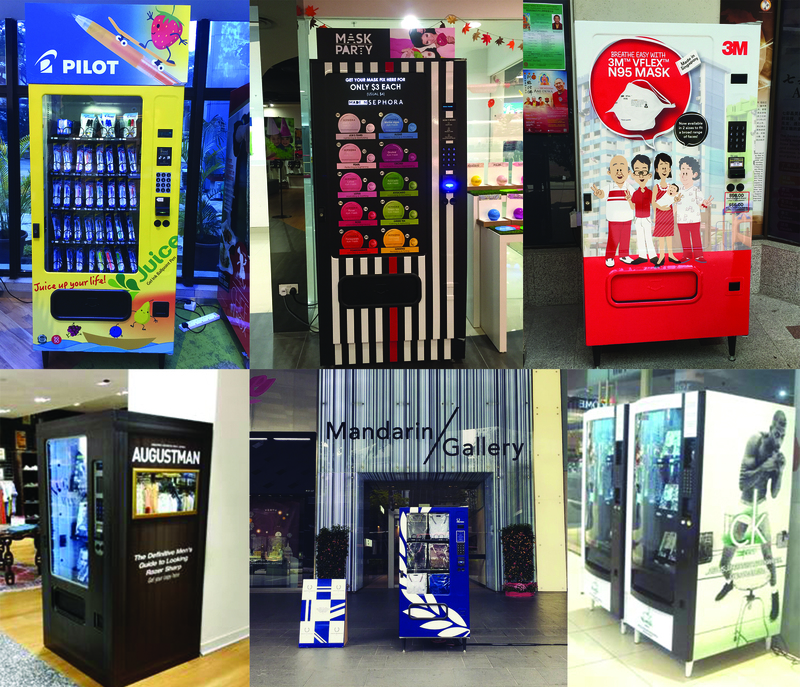 A glimpse at their posts will show you a roundup of the different vending machines that have appeared in Singapore. 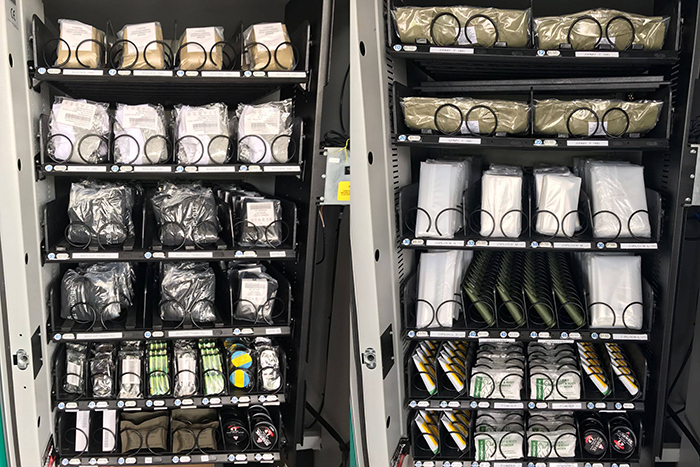 From makeup by Sephora, pens by Pilot, magazines by Augustman, N95 masks by 3M, t-shirts by Fred Perry, and even underwear by Calvin Klein, our vending machine scene isn’t too shabby at all. You may also be familiar with these vending machines, well, at least I am. Many a days while I was still in school after hours, and when the canteens and food courts were closed, these were my saviour. 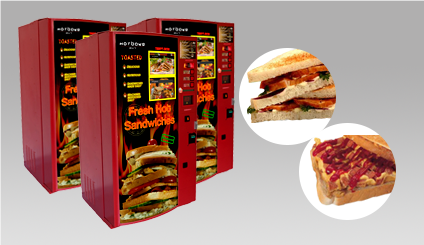 The sandwich vending machines by Hot Bake are now a common sight in schools, hospitals, hotels and companies. Eezee Vending has even taken the dispensing of hot foods one step further, because why just get a sandwich when you can have an entire pizza? 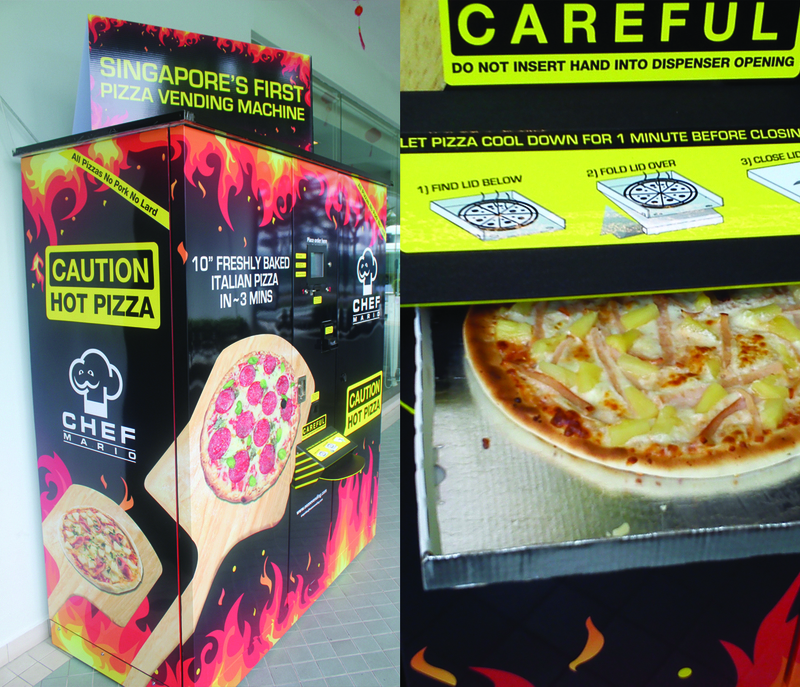 The Chef Mario pizza vending machine is unfortunately only available in Mandarin Gardens Condo in Siglap. We’d love to see this at the common areas in student dorms in the universities. Ice cream in a vending machine isn’t that much of an anomaly either. Sure, you can get your favourite cones and magnums that way, but Robofusion offers more than that. Encased in the windowed vending machine is a robotic arm right in the middle that will make you your own customised cup of ice cream. Originally from the USA, it launched in 2013 to test the market in Singapore and disappeared as quickly from its premises at City Square Mall. If you’ve had your fill of all the unhealthy food, it’s time now to take some vitamins. 21st Century Singapore is taking their inventory of pills and have put them into a vending machine. Available in five locations throughout Singapore, the company says that prices here are different to what you will get in retail stores, with the added convenience of getting what you seek any time of the day. 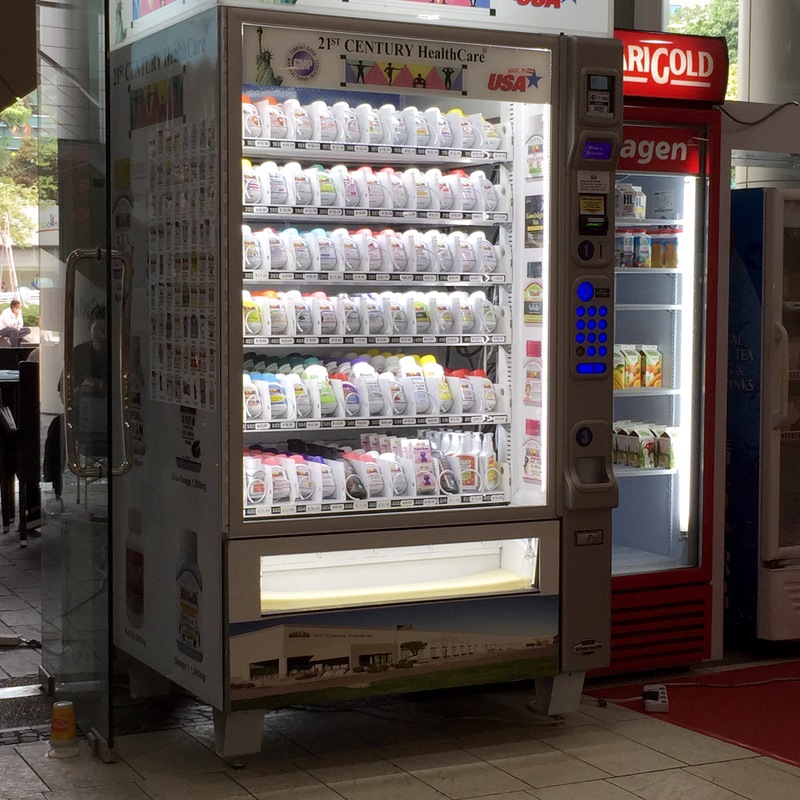 While Singapore is in no way up to par with the vending machine heaven that is Japan, we do see an increasing variety of goods being sold through vending machines. Japanese novelty goods retailer Satisfaction Guaranteed tried with a high-tech touchscreen vending machine reminiscent of Japan but that didn’t last long either. However, a more local take by a student was more successful. Hans Chew Ziyang was an 18-year-old student from the School of the Arts in 2015. Inspired by similar vending machines he saw in Japan, he set out to create one that dispenses art – in particular, ceramic ware. All 360 of them which were sold through the vending machine were hand-made, and placed painstakingly into the vending machine, piece by piece. From a local artist, we now go into local literature. 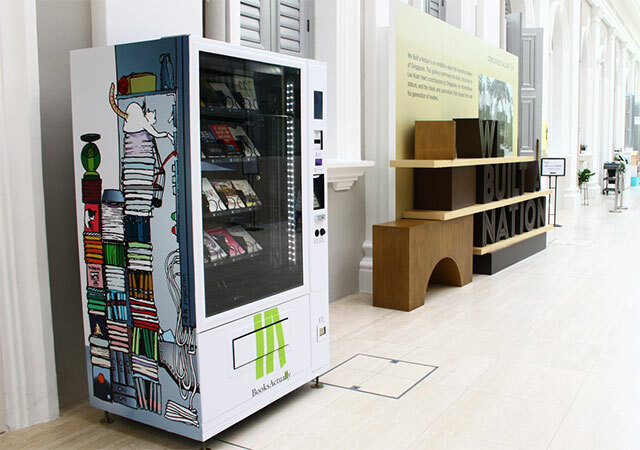 Last year, local bookstore Books Actually took a step in getting more local literary works into more Singaporeans’ hands by launching their own vending machines. It was positioned at the Singapore Visitor Centre, National Museum Singapore, and Goodman Arts Centre for three months from June 2016. No word though, on if they will be making a comeback anytime soon. 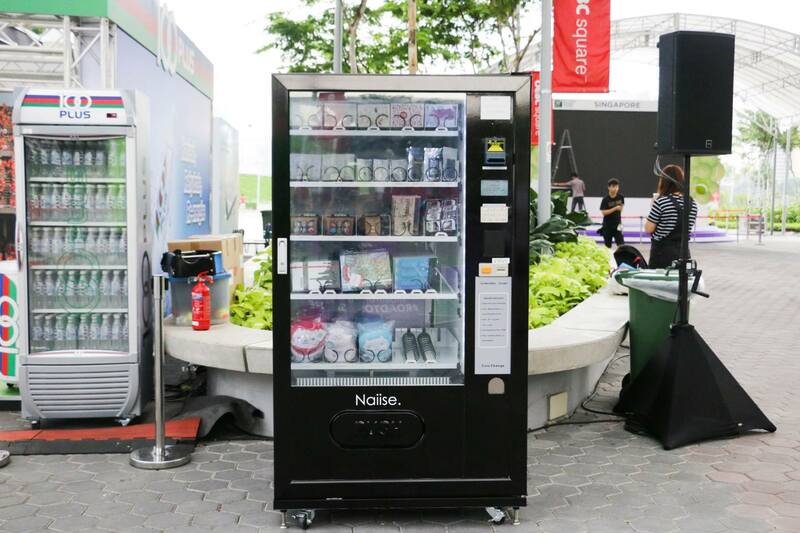 Keeping up with the local theme, we have had the opportunity to catch up with our friends at Naiise when they unveiled their one of a kind vending machine during the WTA Finals in Singapore last year. In it was lots of souvenirs and figurines of everything Singapore that visitors to the sporting event were able to purchase. They have told us that this may not be the last time that you will see this vending machine, and we can’t wait for its reappearance elsewhere in the future. Stepping back into the realm of food vending, Singapore also welcomed our very first vending machine cafe. 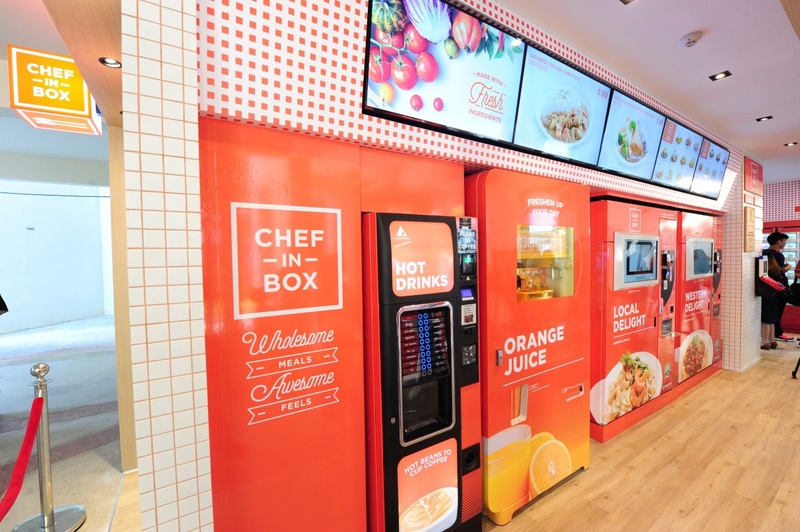 Local company Chef In Box is no stranger to serving hot food out of vending machines, and they took that concept to the next level by having all their offerings within a single premise. This idea is fairly common in Japan and Europe, and the lengthy queues at launch for the one in Singapore suggests that there is healthy interest in it. Recently, a local healthy snacks startup decided to give vending machines a go too. We broke the news on Boxgreen’s new vending machine in the heart of the Central Business District that has generated much interest amongst the office crowd in the vicinity. Boxgreen, if you are not familiar, is a subscription-based healthy snacks service that is delivered to your doorstep. With this move, they are making their inventory more readily available and at the same time, creating awareness for their brand. 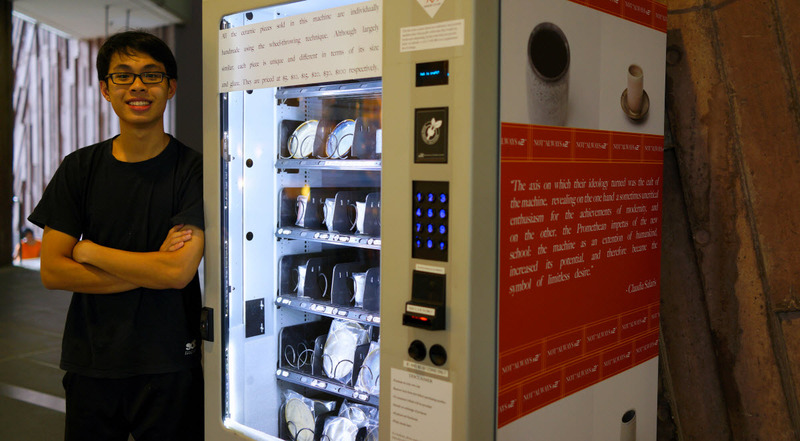 The latest player in the vending machine game is Mr Kegan Tan and his company Spartan Sports. Somewhere in Tampines lies a vending machine which dispenses badminton essentials and sports drinks. Mr Tan actually closed his retail operations to concentrate on his vending machines business, thecrazybadman, and has plans to go into other kinds of sporting accessories such as those for swimming. What Kind Of Vending Machines Will 2017 Bring? Vending machines have so far proven that they definitely have a place in Singapore, and can do more than just give us food and drinks. 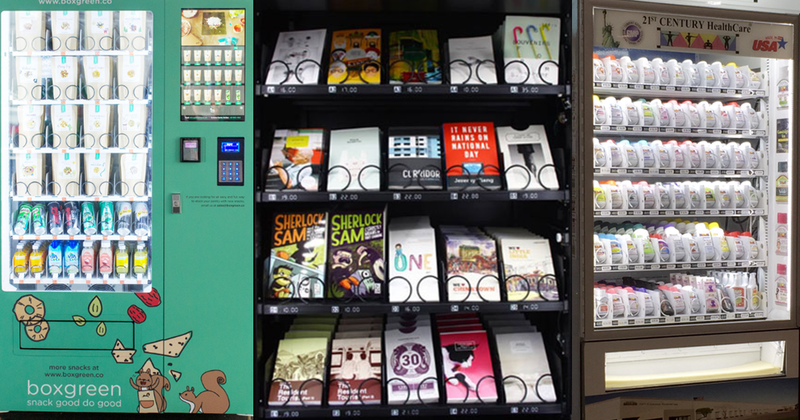 As retailers get leaner and go online, vending machines are proving to be one of the better pre-made solutions to going offline – without the need for additional staffing. 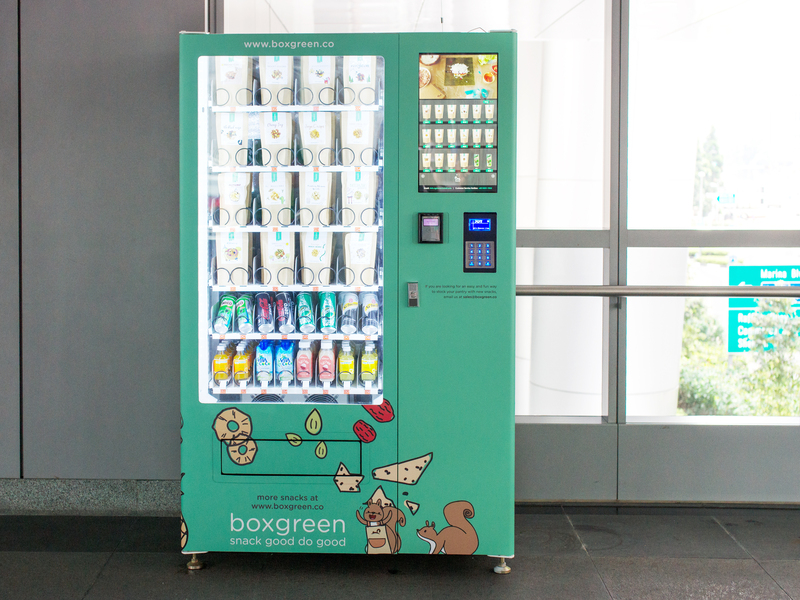 We are definitely looking forward to see which of our favourite startups are next to jump onto the vending machine bandwagon! Looks like we have our first unique vending machine of 2017, and it is something that our boys in green will be happy to use. 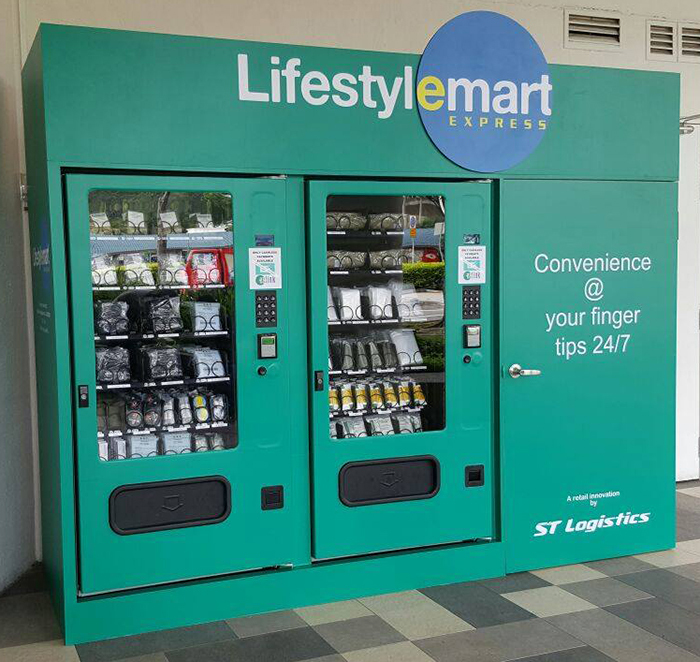 Located at White Sands mall beside Pasir Ris MRT, army supplies provider ST Logistics has been running a trial since December with a vending machine that dispenses frequently used items by full-time National Servicemen. Items include ziplock bags, batteries, powder, socks, insect repellant, singlets and shorts, as it is found that these items are ones that are frequently bought. ST Logistics told Lianhe Zaobao that this move is in line with the company’s vision to make these essentials more readily available and convenient to acquire for both NSFs and soldiers.